I’m so excited to have Cassie from Bake Your Day here to share a recipe with all of you! She is such a sweet person, and that comes through in both her writing and her interaction with her readers and other bloggers. 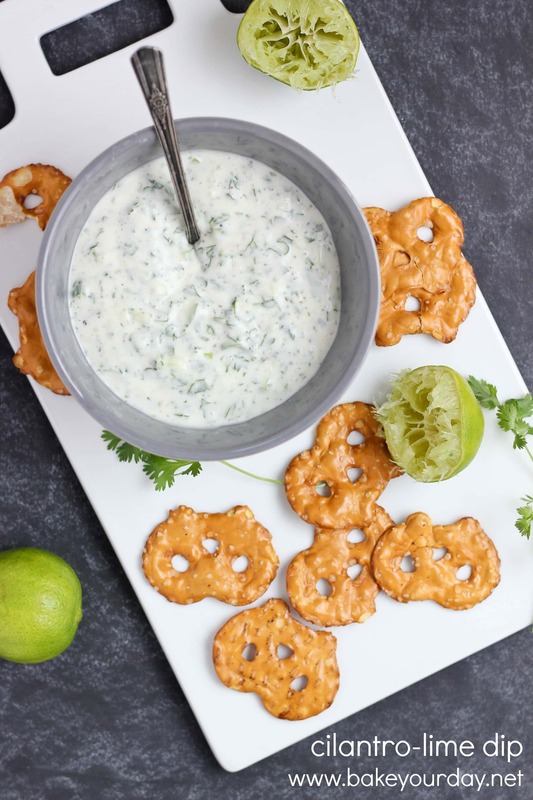 I know you’ll love this dip that she is sharing with you today while I’m away! Hi there, A Kitchen Addiction fans! Cassie here from Bake Your Day and I’m thrilled to be here sharing one of my favorite things today – dip! First of all, let me say, isn’t Jessica the best? I have absolutely loved getting to know her over the past few months. She is always so encouraging to other bloggers and she is talented. You know those No-Bake Snickerdoodle Granola Bars she posted last week? I have not gotten those things out of my head! 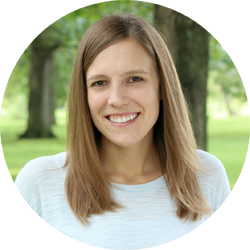 If you don’t follow my blog, let me tell you a little about myself: I live in central Missouri with my husband who is in youth & music ministry. I work in insurance and then spend a lot of my free time in the kitchen and running. You can probably see where Jessica and I relate already. 🙂 And more: I love French fries, Frank’s Red Hot sauce, sprinkles, popcorn and dip. Dips of any kind – hummus, chip dip, cheese dip, guacamole, salsa, you name it, I love it. So when Jessica asked me to post for her, I thought hummus would be a fun idea. I was thinking about doing a Cilantro-Lime Jalapeno Hummus. I had the recipe all written out and then at the last minute decided I should make sure she hasn’t made something similar and it turns out she had that EXACT recipe already on her site. So instead of hummus, I made a quick sour cream-mayonnaise dip that is full of flavor. It’s quick, simple and you probably have most of the ingredients on-hand already. 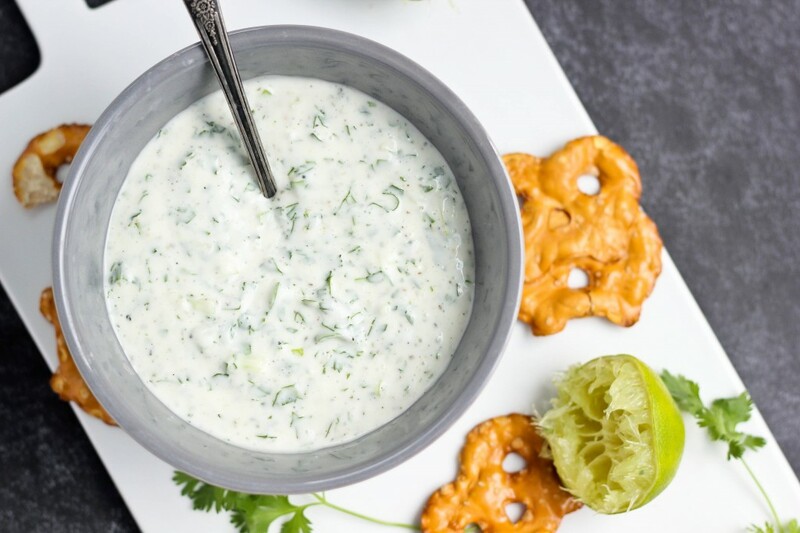 I love simple dips like this for last minute appetizers and nearly everyone I know loves cilantro-lime flavor! Mix all ingredients in a small bowl until well blended. Adjust seasonings to taste. Cover and refrigerate for at least one hour. Serve with crackers, chips, and/or veggies. Cassie's Notes: Plain Greek yogurt can be easily subbed for the sour cream, but I do recommend leaving the mayonnaise to even out the tartness of the lime juice. See? Isn’t Cassie great?! Be sure to stop by her blog and also follow along on her Facebook page, Twitter, and Instagram. Thanks for having me, Jessica! So fun to be posting here! Cassia is amazing and I love her blog! What a fun great post and this dip? YES!! I love cilantro lime anything. YUm! This dip is great and I love the change that she made. Yes, now that is what I am talking about! cilantro and lime is one of my favorite combinations! This dip sounds like a refreshing alternative. Too funny that she already had the recipe. This version sounds great though too! I am a huge fan of both fun dips AND Cassie so I am totally loving this! So refreshing for summer. Dips are great! The ingredients are so simple you always have this on hand 🙂 I like it! I love Cassies blog! 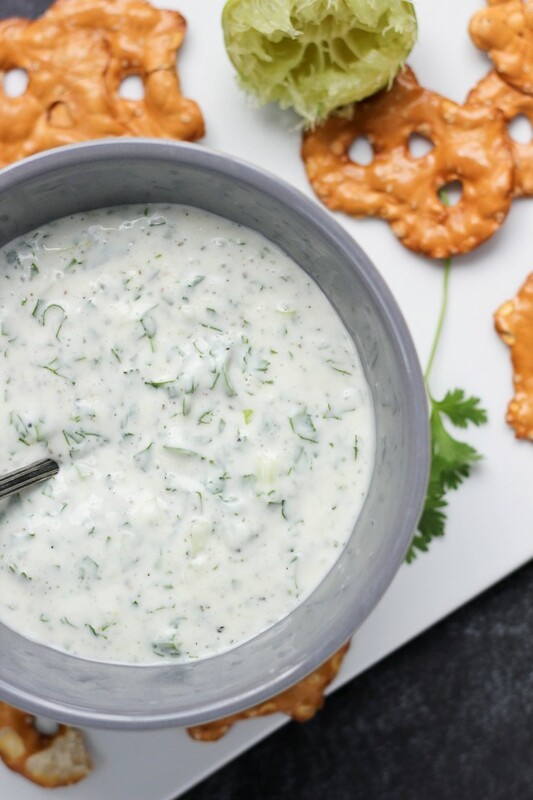 This dip looks tasty, perfect for summer! I LIVE for cilantro! Easily my top, super duper favorite herb EVER. This dip looks fantastic! I totally want to use it as a sauce for a fish taco or something! !